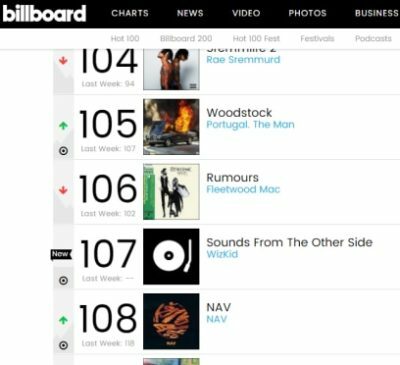 Barely two weeks after its release, Starboy Wizkid‘s album, Sounds From The Other Side (SFTOS) has debuted on Billboard’s Hot 200 list. The album makes its first appearance at the number 107 spot on the Billboard‘s Hot 200 chart while also ranking the 58th spot on Canadian albums chart, and number 5 on the HeatSeekers albums chart. 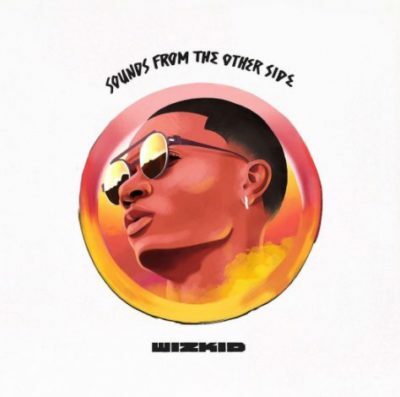 SFTOS, which features international music acts such as Chris Brown, Trey Songz, Drake, Ty Dolla $ign as well as Major Lazer could yet become the best project from an African artiste. Congratulations to Wizkid on this recent success.